Item # 307852 Stash Points: 1,995 (?) This is the number of points you get in The Zumiez Stash for purchasing this item. Stash points are redeemable for exclusive rewards only available to Zumiez Stash members. To redeem your points check out the rewards catalog on thestash.zumiez.com. Get an athletic wear-inspired new look with the adidas Trefoil Twill Black Visor. 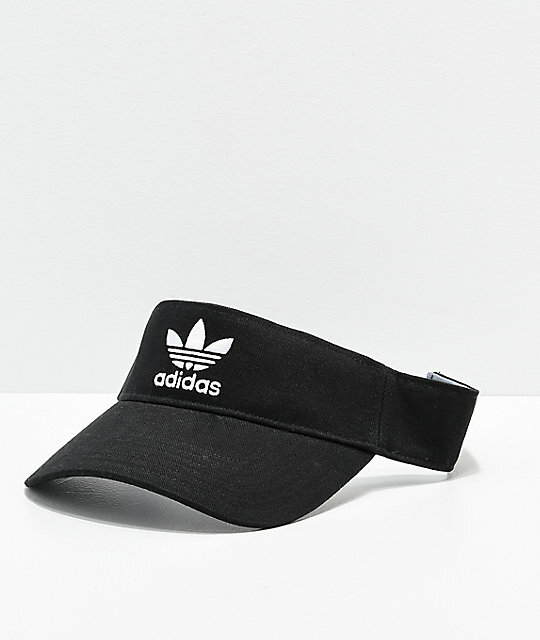 This all-black visor features an adidas Trefoil logo sewn at the crown for a truly iconic look from one of the biggest clothing brands in the world. 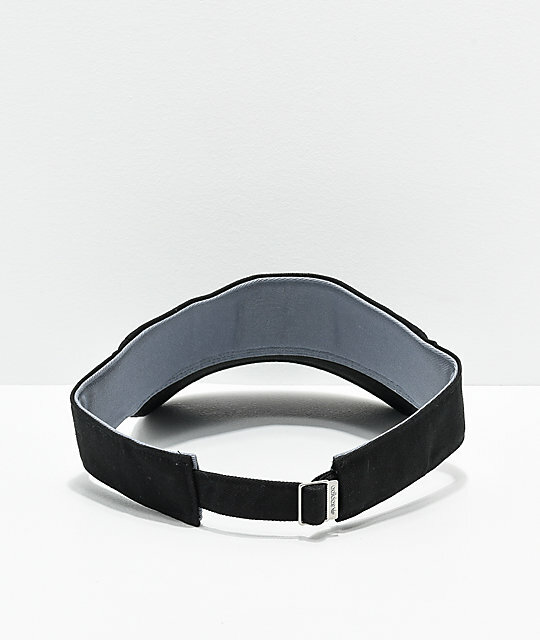 Trefoil Black Twill Visor from adidas.